Microsoft just released the free OneDrive UWP for Windows 10 through the Store. OneDrive is just one in a series of in-house software and services that Microsoft has brought or plans to bring to the Windows Store in the form of a UWP app. Unlike other Microsoft services, like the Skype UWP Preview, OneDrive for Windows 10 is available to all users of Windows 10, regardless of a system version. If you’re familiar with Microsoft’s cloud service, you can probably already tell what this app brings to the table. OneDrive for Windows 10 is more similar to the web version of the service than to its desktop version. 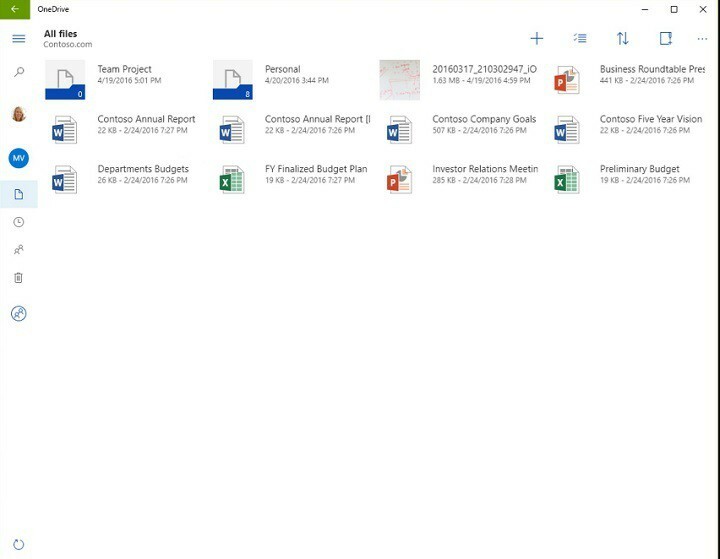 Besides browsing your OneDrive files and folders, you’ll be able to restore files from the Recycle Bin, easily drag and drop files to the app for uploading, quickly access recent documents, find files shared with you by others, and more. As already mentioned above, the app is Universal one, meaning it works on both Windows 10 Mobile and Windows 10. But that’s not all: the new OneDrive app for Windows 10 will also work on Microsoft’s workstation, the Surface Hub. We don’t know if OneDrive for Windows 10 was created by Microsoft’s Project Centennial, but it wouldn’t be surprising if it had been since the company is always seeking out new ways to promote its tool. We already know some programs have already been transferred to the UWP with this tool. You can download OneDrive for Windows 10 for free from the Windows Store, and it will work on all Windows 10-powered devices. If you already tried the new OneDrive app, let us know your impressions in the comments!